"X-Static is your new favorite impromptu effect - guaranteed!" Meet X-Static... It's going to become your new favorite impromptu effect! That trick you do on the spot when someone asks you, "show me some magic". X-Static is the effect you 'go to' anytime, because it's perfect even when you have nothing on you. Anywhere you like... without gaffs, props, or any set-up. No sleight of hand to worry about. Simply start causing things that belong to your spectators to bond together! There are no magnets, no glues or sticky tape... the two items stick together whenever you want. You can even hand them out for examination... there's nothing to reveal your secret. 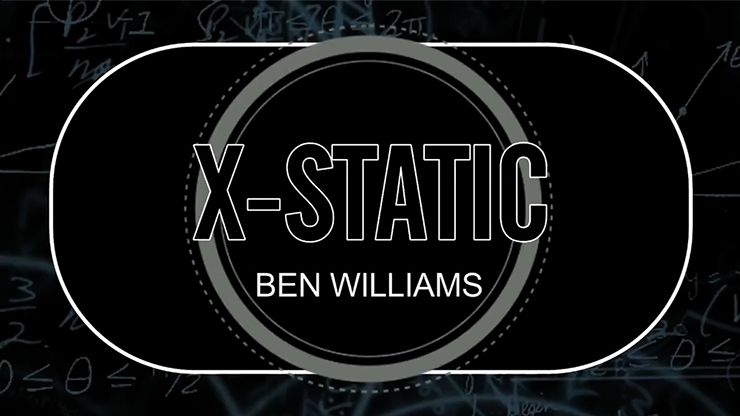 X-Static by Ben Williams video DOWNLOAD X-Static is a quick and visual effect where you cause borrowed objects to be attracted to each other, seemingly using static electricity.